Let’s wrap it up – Crawlspace Mold, Ventilation and Insulation is the last of my Crawlspace Inspection posts and I’ll take care of the items 9 & 10 from my Top 10 list. They are somewhat correlated, at least partially. 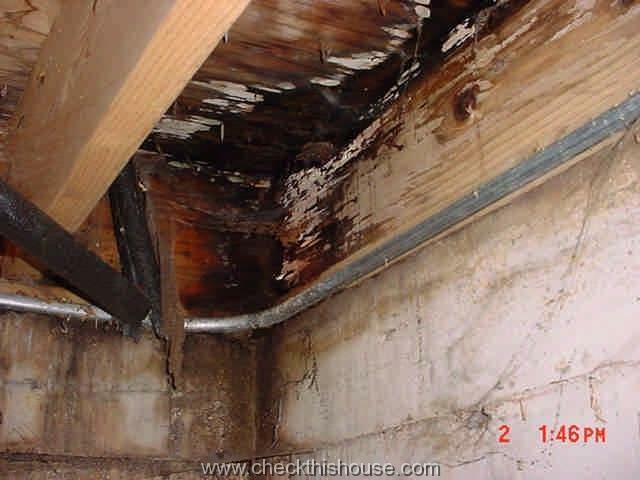 Crawlspace mold, as many other problems described in previous sections of the crawlspace inspection tutorial, is strictly related to moisture presence. 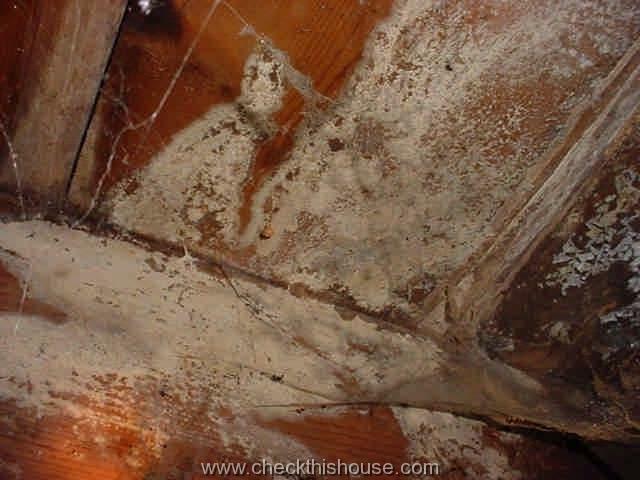 Because mold grows on pretty much anything and often takes different shapes and colors, you can expect to find crawlspace mold on pretty much every possible surface. 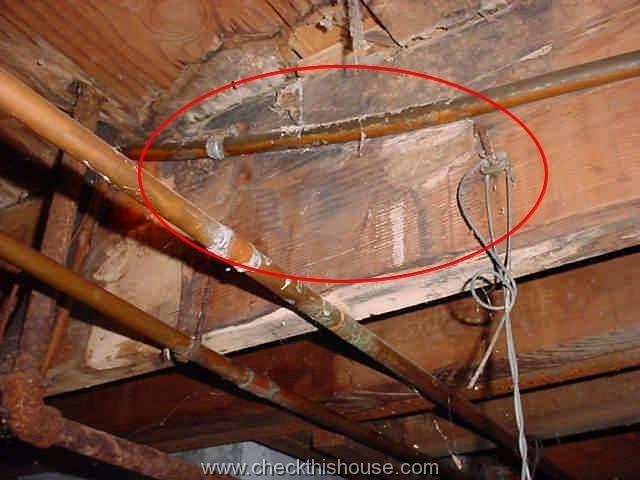 So look everywhere for crawlspace mold and pay special attention to areas along the foundation and under the bathrooms, kitchens, utility rooms containing water heaters, furnaces, and / or washers – any place that water leakage / moisture penetration might occur. 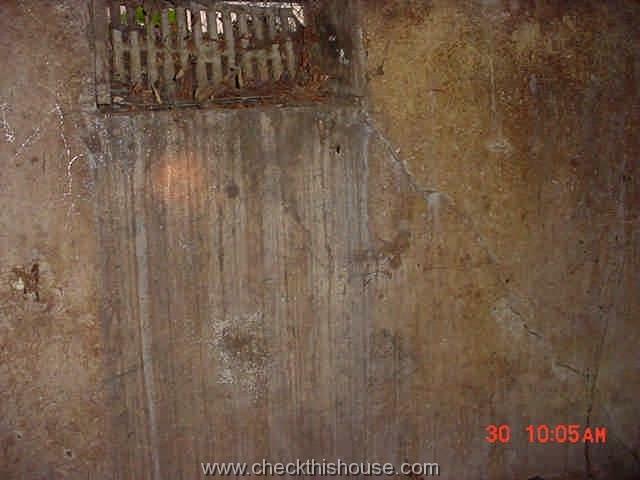 If you have a chronic moisture problem, maybe related to poor drainage around the house or a high water table (level of groundwater), the crawlspace mold might appear on the floor, walls, supporting columns and entire framing. If you notice discoloration or unusual residue / substance on any of the surfaces, have it tested by a professional. 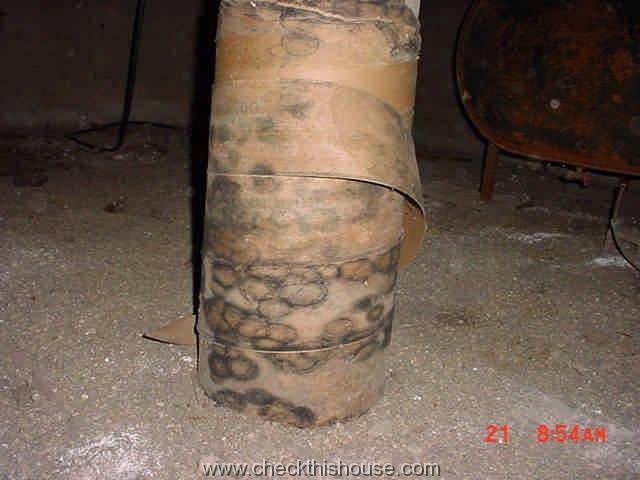 Unfortunately this is the only way to find out what it is and if it is confirmed to be crawlspace mold, determine if it is toxic. Proper ventilation of the crawlspace is crucial for a healthy house and to prevent crawlspace mold growth… well … not necessarily, or should I say – the science decided that not any more. As it often happens with some beliefs, new scientific developments change them to the complete opposite. However, the installation of 1 square foot of venting per 150 square feet of under-floor / crawlspace area is still a code requirement. 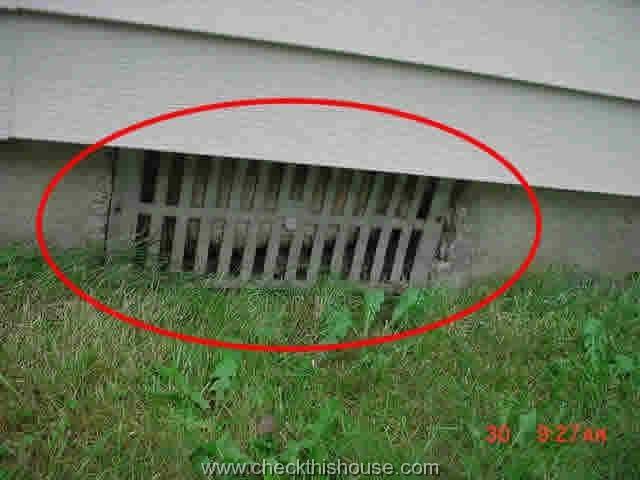 For wet crawlspaces (leaking foundation, high water table, malfunctioning or missing drainage system) – once again: try to eliminate the source of moisture before it causes crawlspace mold growth, and read Venting or not – the Crawlspace dilemma (link below). Depending on the type of crawlspace you have under the house – above the ground, partially above the ground, below the ground level – you might have insulation installed or not. 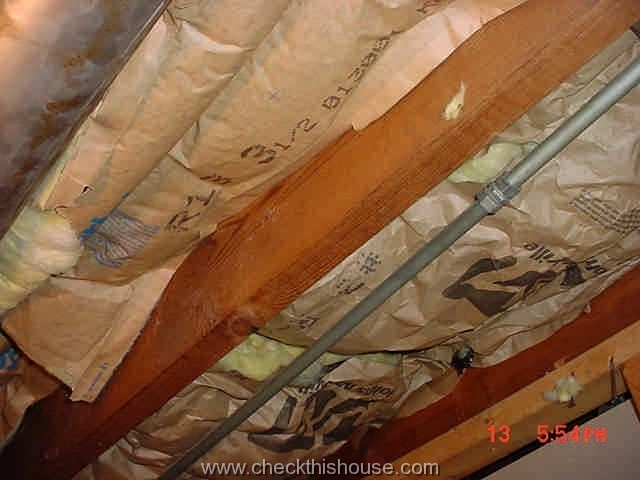 If it’s there, and if it is a blanket type with a paper facing (also called “batt” insulation) installed on the crawlspace ceiling / your floor framing, remember that the paper (moisture barrier) has to be facing the warm side of the house. 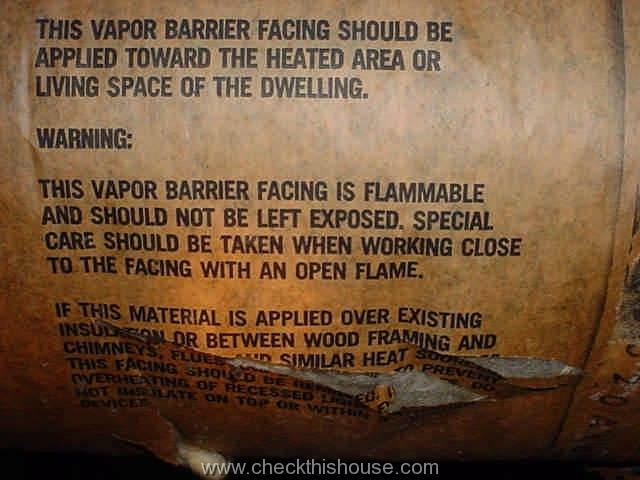 It is highly flammable, and leaving it exposed creates a fire hazard. 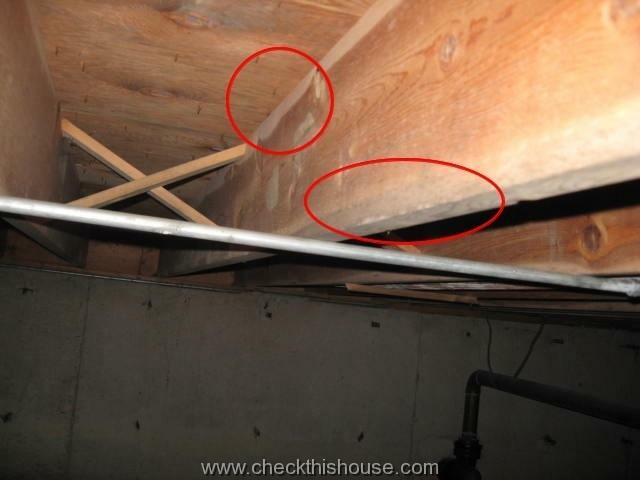 Another problem to watch for in humid / wet crawlspaces is possibility of crawlspace mold growing on insulation sheets, sometimes between the floor an insulation layer. It is easier to install blankets between the floor joists by securing paper flaps along the edges, but without fire-rated material on top of such installation … you know, accidents happen. 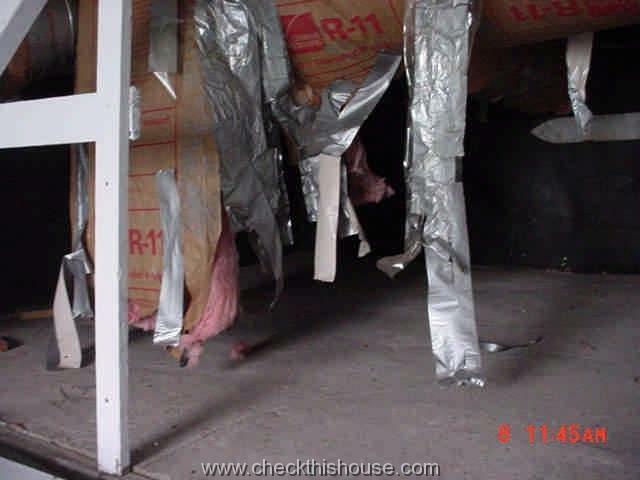 You might also have: the spray-on type of insulation on the foundation walls, Styrofoam sheets, aluminum foil faced blankets (this one conducts electricity, so be careful if it is in contact with electrical components in your crawlspace), or some other materials – secure them if they fall off / separate from the surface they were attached to. 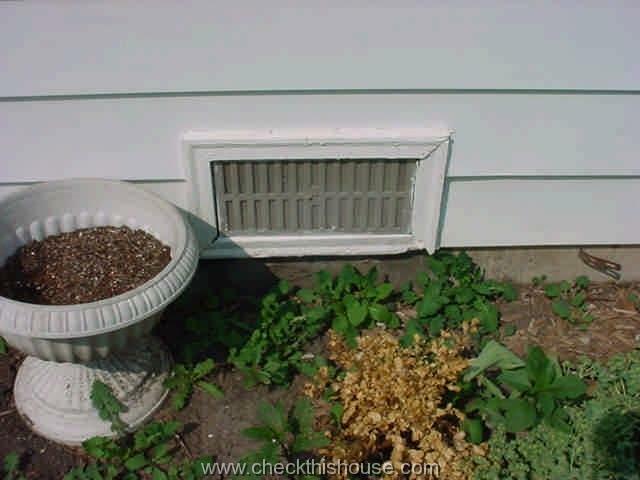 That covers basics of crawlspace mold, crawlspace ventilation and crawlspace insulation.